This small 10″ by 12″ yellow and black sign is a die cut porcelain sign that is normal single sided. 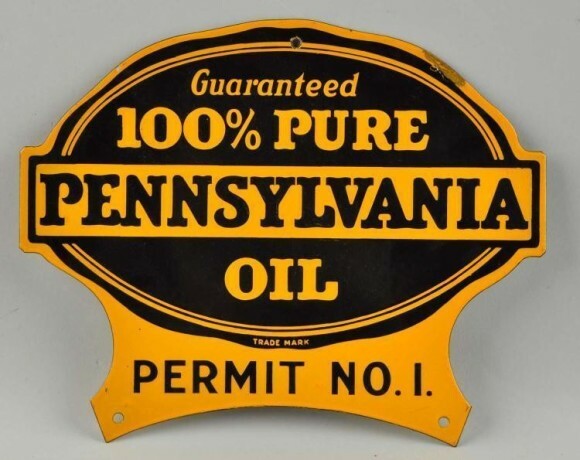 The sign has text that reads “Guaranteed 100% Pure Pennsylvania Oil Permit No. 1.” The sign has mounting holes on several sides.